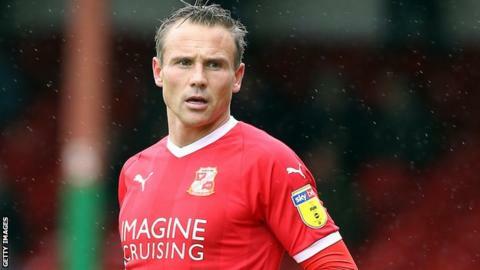 Swindon Town midfielder Matt Taylor will retire at the end of the season, having made more than 650 league appearances during his career. The ex-Portsmouth and Bolton 37-year-old is a player-coach at the League Two club, playing 32 games this term. He made his senior debut at Luton, and also played for West Ham, Burnley and Northampton in a 20-year career. "I have loved every minute from leaving school at 16 years of age to pursue my dream," Taylor said. "To the fans who have supported and followed my career, I hope I've given you some memories that, looking back, will make you smile." Taylor has scored 94 goals and gained a reputation for long-range efforts during six years at Portsmouth, including a 45-yard volley against Everton in 2009.